Crosstown, winners of PETA's Best Vegan Donut award, is releasing a limited edition gift box of vegan dough bites (mini donuts) for Valentine's Day. The box, which is available for pre-order now and will be in all stores on February 14 only, contains three new flavors. 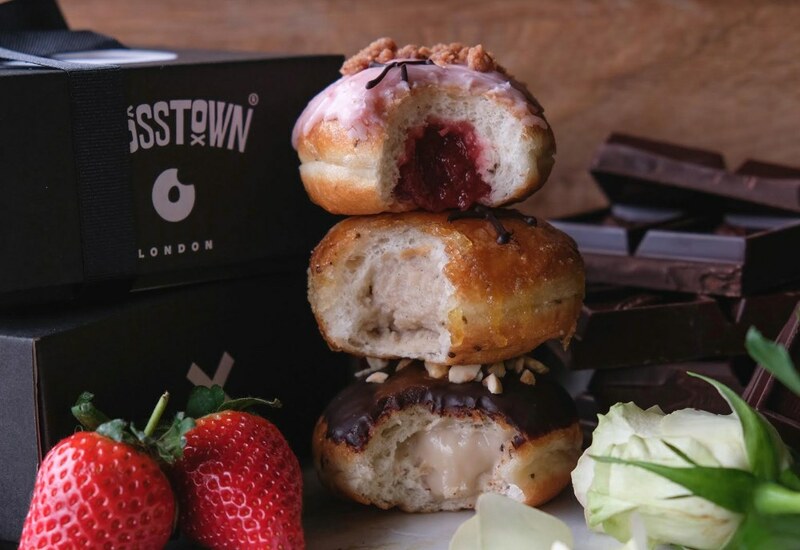 Crosstown has collaborated with English sparkling wine producer Gusbourne and chocolatiers Guittard to make the dough bites. The flavors include Strawberry & Sparkling Rosé flavour with Gusbourne’s award-winning vintage sparkling rosé, and Banana Cream & Miso Caramel topped with Guittard dark chocolate. Crosstown's Crème Brûlée flavor has been reworked into vegan form. "The collaborations with Gusbourne and Guittard reflect our ethos of bringing the best quality to satisfy peoples taste buds," JP Then, Co-Founder of Crosstown Doughnuts, said in a statement sent to Plant Based News. argue with doughnuts over roses on Valentine’s Day!" The Valentine's Day gift boxes will be available in all Crosstown stores and on-demand on February 14 only. Due to limited stock, pre-orders are advised. Six customers who pre-order - to be chosen at random - will receive a complimentary bottle of Gusbourne vintage sparkling rosé.